Home to some of the highest mountain peaks in the world, Nepal is a land of plenty for mountain climbing. 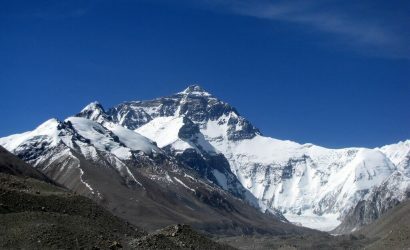 Of these, Mera and Island Peak are two of the most popular climbing peaks. 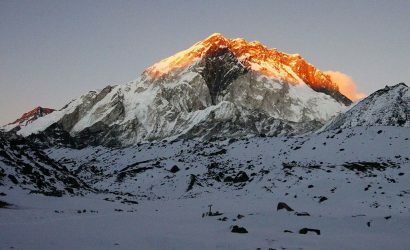 These peaks are an excellent introduction to high altitude mountain climbing in the Everest region. You can climb each of these peaks in individual, or in separate climbing trips or on a joint trip. The Mera and Island Peak Climbing via Amphu Labtsa Pass is a combined climbing trip that allows you to summit over both these peaks. You will need the following permits for this expedition. Note: You can get all these permits from Kathmandu or allow us to help you with these. The level of difficulty of any treks and climbs to the Himalayas depends on various factors. This expedition or climb is a strenuous trek in the rugged terrains of the Everest region. You will be spending a week (roughly 8-9 days) over 5100m. You will climb 2 peaks over 6000m- Mera Peak (6476m) and Island Peak (6189m). Along with this, you will make a tough technical crossing of the Amphu Labtsa pass (5700m). Along with accommodating in tea houses, you will be camping as well in the snowy surrounding. Hence, Mera Peak, Amphu Labtsa and Island Peak, all involve a different kind of adventure. You also need to have prior mountaineering experience for this expedition. Along with this, you must have a reasonable fitness level along with good mental health. If you don’t have the experience and reasonable fitness level, this can be a very difficult journey for you. 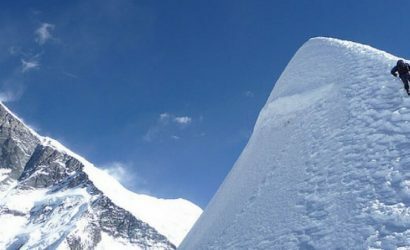 Although taller, Mera Peak is less challenging than Island Peak. To overcome the difficulty of Mera Peak, Basic technical climbing skills are necessary. Mera Peak is a straightforward mountain climb except for the final 30-40m climb. This small section has a slope of around 40 degrees of ice/snow. You will need to use basic mountaineering tools such as ice axe, fixed ropes, crampons for this section. This Pass is more technical than Mera Peak. You will surmount a series of ice steps. You need to use a fixed rope (for safety) for this to reach the rocky crest. Once on the summit, you will use a figure 8 to make an abseil on the snowy terrain. You must be very careful during this point of the climb. You must have the knowledge on how to fix ropes and ice axe. Prior climbing training can be helpful in this situation. Once on easier slopes, you will not need to use this. Island Peak is more technical than Mera Peak. You need to climb 45-degree snow-covered slopes on this climb. The summit ridge is also completely exposed. You need to use fixed lines on all the exposed sections. Rope climbing skills are a must for this climb. You will also be using ladder crossings. You need to have proper mountaineering training for this. There are many places in Kathmandu that provide this training. You can let us help you with this. Brief training to refresh your training skills also take place before the climb. You will meet the tour representative at the airport. After loading your things on the vehicle, we will transfer you to the hotel. After freshening up, you’ll join the trek briefing. Then you get to enjoy dinner with cultural show. After breakfast, there will be a gear check to ensure you have all the right gear for your climbing trip. The gear check allows you to know if you need to buy, rent or update any items for the trip. You can do this in Kathmandu. After this, your sightseeing tour of Kathmandu begins. Some of the places you can visit in Kathmandu are Pashupatinath temple, Boudha Stupa and Swayambhu Stupa. Else you can explore areas like the historical Kathmandu Durbar Square or tourist spot of Thamel. The day begins early with a ride to the airport to catch your flight to Lukla. On clear days, you get your first views of Mt. Everest and other mountain peaks on the flight. Lukla is a beautiful hillside village and the start point of your actual trek. Here, you will meet your climbing staff for the upcoming journey. After brief introductions, your climb begins. You start by walking through pastures and forests of rhododendron and pine. You will also pass through several streams and tiny hamlets till Chuthang. The hike to Zatrawala Pass is quite steep. 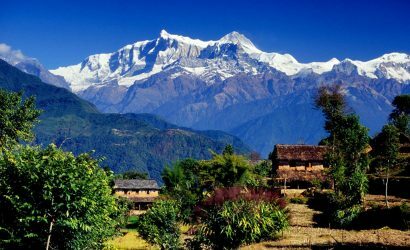 Once here, you get spectacular views of Kongdi Ri, Numbur Himal, Karyolang peak and other mountain peaks. After the pass, you descend down to Tuli Kharka. Overnight at a tea house in Tuli Kharka. Today, the trek takes you through dense forests of juniper, rhododendron, oak, and other local vegetation. You can also enjoy views of Mera Peak and the Hinku Valley. If lucky, you can spot wild animals like sloth bear, jungle cat among the tall pine trees. Rest for lunch at Traktor. After this, you continue your trek to Kothe. If you arrive early you can explore the beautiful village. Overnight at Kothe. Today you will trek along the west bank of the Hinku Khola up the valley to Tangnag. It begins with a gradual ascent followed with a steep ascent through the ridge of the river. You will also pass through the Lungsumba Gunga. This Buddhist monastery is one of the oldest monasteries of the region, built over 2 centuries ago. From here, you get close up views of Kusum Kanguru peak and many more peaks. After a short walk from here, you reach Tagnak. This is a summer grazing area and herder's settlement area. This place has the simplest of lodges and shops. Overnight in Thagnag. Today, you walk through the moraine trail of Dig Glacier to Dig Kharka. Here, you find an excellent valley opening out to the magnificent views. The trail climbs through moraines and to the snout of the Hinku Nup and Shar Glaciers and then after a steep climb, you reach Khare. From Khare, you get views of the North face of Mera Peak. Overnight at Khare. This is an exciting day. You will climb up through the moraine- one of the most demanding and the technical part of the trail. You will proceed onto Mera Glacier and follow it to the pass. From here, you will reach Mera Base Camp in 2-3 hours. From Base Camp, you can enjoy views of some of the highest mountains on earth. These include Mt. Everest, Makalu, Baruntse, Kusum Kanguru and many other mountain peaks. Inexperienced climbers with no prior mountain climbing training will get their training on this day. The training lasts for 2-3 hours and covers the use of ropes, crampons, ice climbing, and others. These are usually taught by your professional mountain guide. Overnight at Mera Base Camp. You walk through a boulder-strewn course often covered with snow. You pass through Mera La to reach Mera High Camp. Be careful while walking today as the path has crevices. It can be hazardous especially if it has recently snowed. The snow covers up the crevices making it difficult to spot. Once at Mera High Camp, you can enjoy the stunning views of Everest, Cho Oyu, Lotshe, Nuptse, Ama Dablam, and many more peaks. You can also enjoy the fabulous sunset and sunrise views from here. Overnight at Mera High Camp. Today is one of the main highlights of this journey and a long, tough day. The day begins before sunrise for a successful summit. It is usually necessary to use rope up for much of the summit approach due to crevasse hazards along the route. After the summit, you can enjoy a few moments at the summit of Mera Peak. You can enjoy the marvelous views of some of the world's highest mountain peaks. You can see Mt. Everest (8848m), Makalu (8481m), and Lhotse (8516m), Nuptse (7855m), Ama Dablam (6812m), Cho Oyu (8210m). You can also see Mt. Baruntse (7129m), Nau Lekh (6360m), Chamlang (7319m) looming behind other peaks. After taking pictures and enjoying the summit, you make your descent down to High Camp. You can rest there, eat and then make your descent to Kongma Dingma. After the long yet inspirational day, you stay overnight at Kongma Dingma. Leaving Kongma Dingma, you head up towards yak pastures of this incredible remote and beautiful Honku valley. This less explored part of Everest region is benign. You head into the very epicenter of the highest group of mountains in the world. 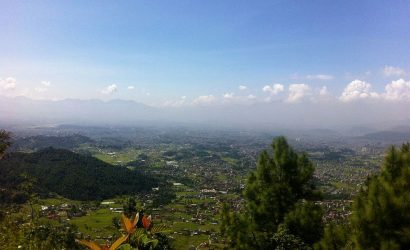 You have great views of surrounding mountains, high alpine valleys while going steadily up to the camp of Seto Pokhari. "Seto Pokhari” means “White Lake” in the local Nepali language. Here, you can explore a series of pristine lakes in Upper Honku Basin. From here, you can see Chamlang (7321m) with hanging glaciers on its South-West and North-West faces. You also get views of Everest and Lhotse. You will trek through one of the remotest parts of the Himalayas- from Seto Pokhari to Amphu Lapcha Base Camp. You begin with a steady climb to the actual Seto Pokhari or White Lake. From Seto Pokhari, you pass through several lakes that occupy the upper Honku Basin. After walking past Hunku Pokhari, you walk towards the magnificent Hunku Glacier. You can experience the remoteness and wildness of the Honku Valley during your walk today. You keep walking through these remote regions to reach Amphu Laptsa base camp. Overnight in Amphu Laptsa Base Camp. You start from the South base camp of Amphu Lapcha to reach the North Base Camp. Your climb today involves steep sections on rock and ice. It’s better to cross the Amphu Lapcha La Pass early in the morning when the snow is stable. This means you have to get over this section before sunlight melts the snow. You will use climbing ropes wherever necessary. The last sections of the climb to Amphu Lapcha winds up through snow shelves. On the other side, you need to make a steep descent on fixed lines which leads down to the moraine. After this, you reach the Amphu Lapcha North Base Camp. You will make camp and spend the night here. You set off for Island Peak Base Camp. You begin by crossing a stream below camp. From here, you continue along the left-hand side of the valley, before heading to a higher Imza valley. Imza Tse is the local name for Island Peak. You continue your trek along a more open area, climb a moraine where edelweiss grows on a slope. From here, you make your way along heaps of moraine climbs to Island peak Base camp. This is the main highlights of your entire trek/climb. You start this big day early before sunrise. The route today can be difficult. You will begin by walking to a point where a narrow side valley cuts off to the left. After about 300m, it takes you to the East. You will make your climb along the ridge scrambling over rocks and reach the crampon point. You can see the fluttering prayer flags on the way. Once on the summit of Island peak, you get an incredible Himalaya panorama. You can view the ice cone of Baruntse along with Mt. Makalu. After soaking up as much of the stunning beauty as possible, you make your way down to Base camp. Leaving behind Island Peak Base Camp, you make your way across the Imja Khola. From here, you continue down to Dingboche. The journey today has beautiful mountain scenery as your constant companion. 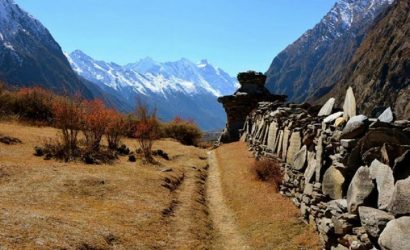 Bidding farewell to Dingboche, you join the famous Everest Base Camp trail to reach the famous gompa at Tyanboche. From here, you make a steep descent to Kyenjuma Village. Here, you traverse the hillside into Namche Bazaar. Namche Bazaar is the unofficial capital and trekker’s junction of the Khumbu valley. It is the highest trading center in the world. You will cross the Dudh Koshi river at different intervals of your trek today. You will also cross several suspension bridges, pass several monasteries and villages. Finally, you reach Lukla. Today, you will take a flight back to Kathmandu. On the flight, you get aerial views of the region you leave behind. In Kathmandu, you can choose to relax at the hotel or explore the vibrant city. You will take a drive to the international airport as per your flight schedule as you bid farewell to your trip here.